This Plurt is part 3 of my small Smash Ultimate tournament series. In Part1 and Part2 I already wrote about what rules the tournament will have, and what kind of prizes the winners will get. 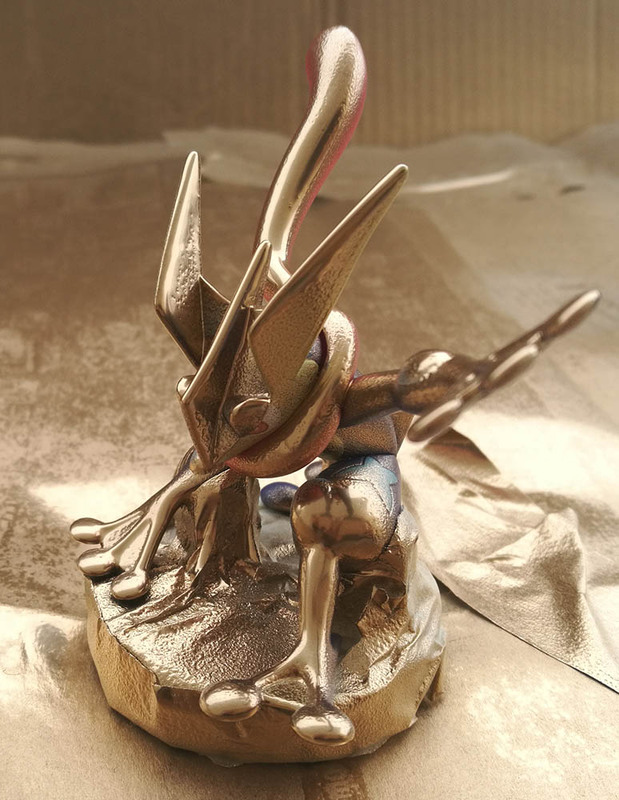 Today, I write about the highlight of the tournament award ceremony, the prize trophies, a.k.a. 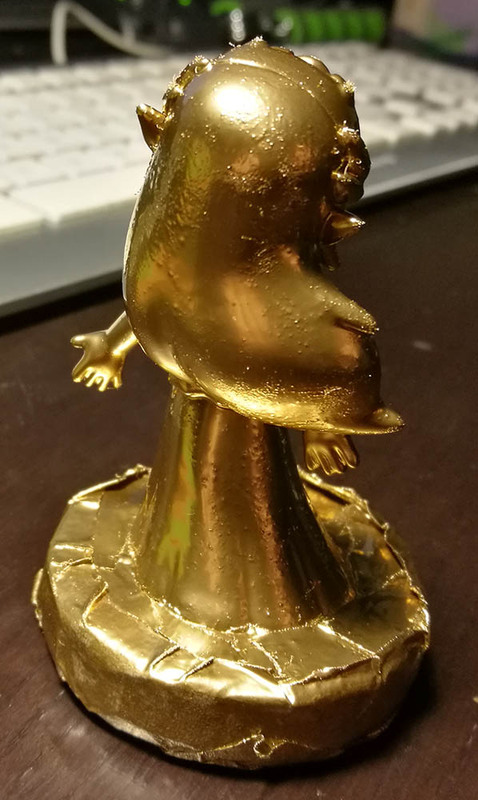 golden Amiibos. I like Amiibos! Not particularly, because they are such an innovation gameplaywise, but rather because they are nice good looking nerdy figurines, and considering that, with a reasonable price. When thinking about Smash Bros. related gifts, or in this case prizes, I immediately think of Amiibos. 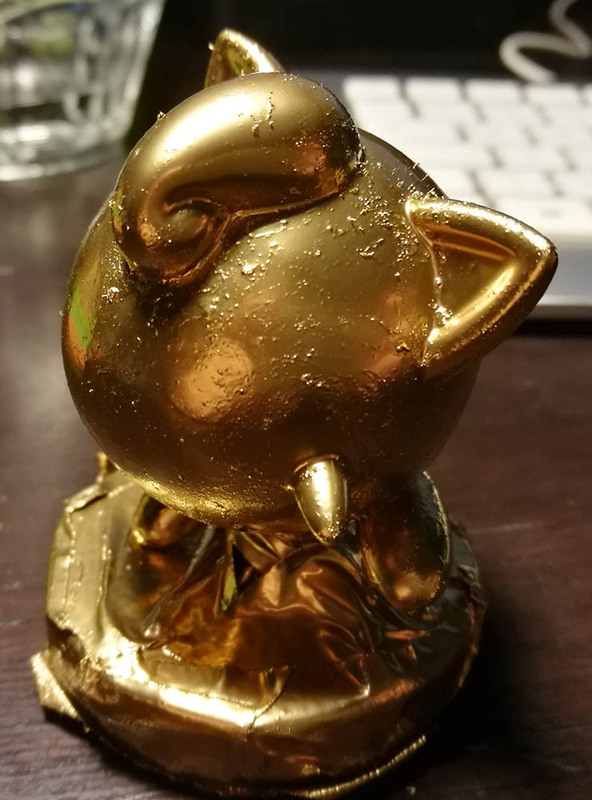 When I first had the idea to make gilded Amiibos, I instantly thought about the massive costs and effort this would cause. So I tried to find alternatives. With time I really got fond of the idea, though. 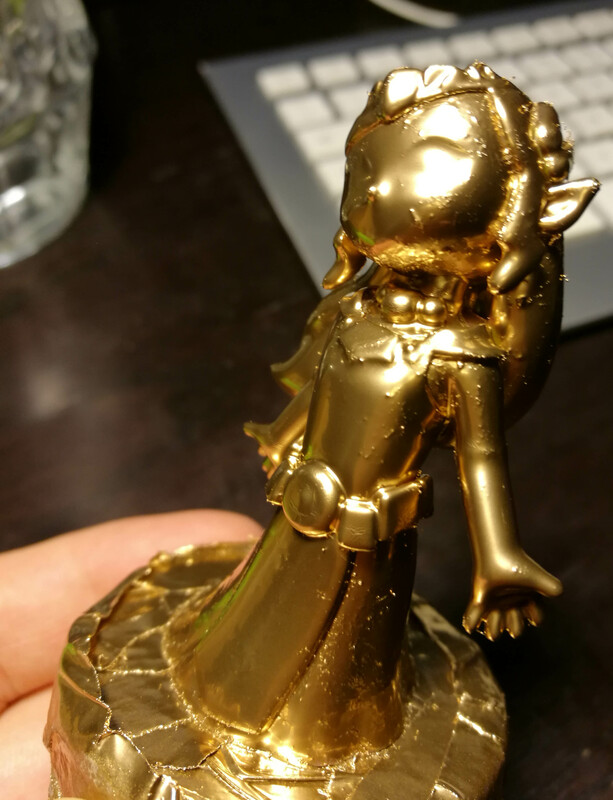 Who doesn't want to have a mothereffin' golden Ganondorf sitting on their shelf? After some days of back and forth, I really got bend on the idea and couldn't resist anymore. Screw the expenses, Imma' do this! 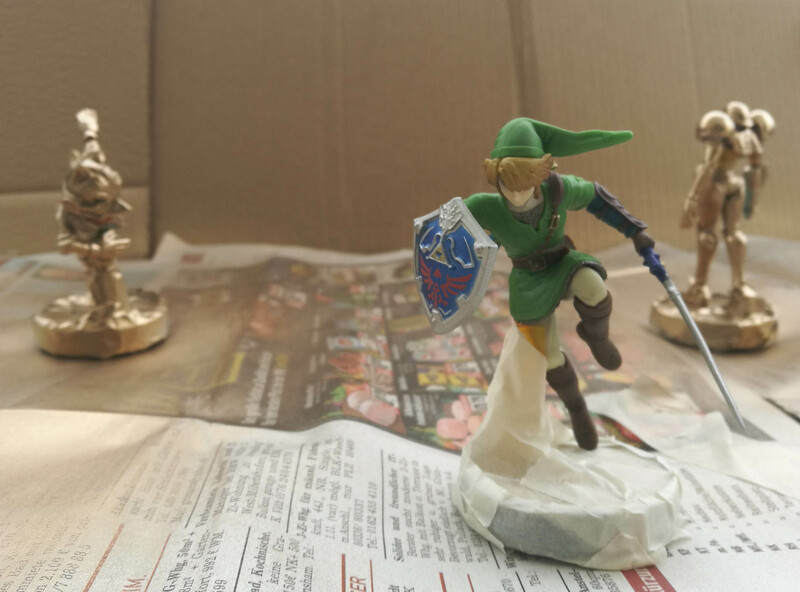 First I painstakingly tried to cover the base area and possible supports of all Amiibos with crepe tape. That on its own was a real hassle, believe me. After everything was covered, I went outside on the balcony to build my spray station. We got a little table there, which I covered with cardboard and newspapers in a wide area. 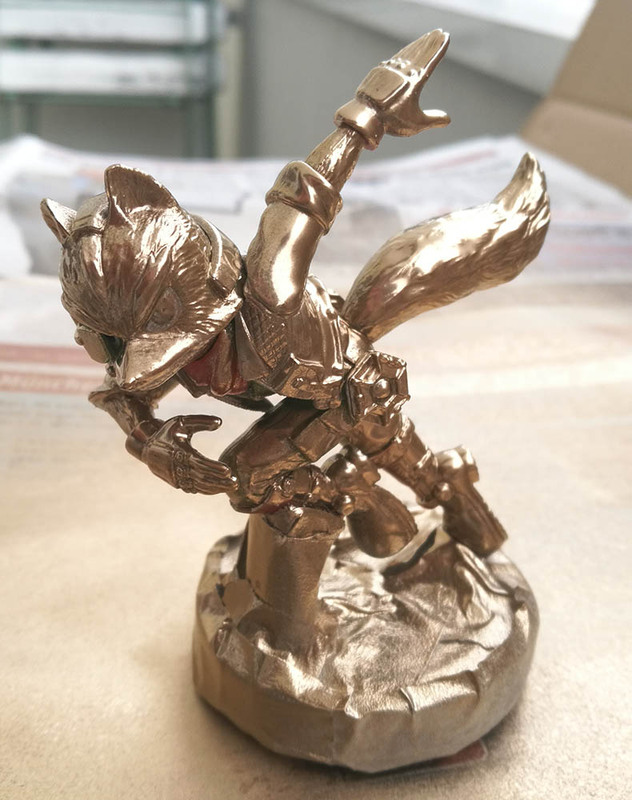 Afterwards, it was the Amiibo's turn. 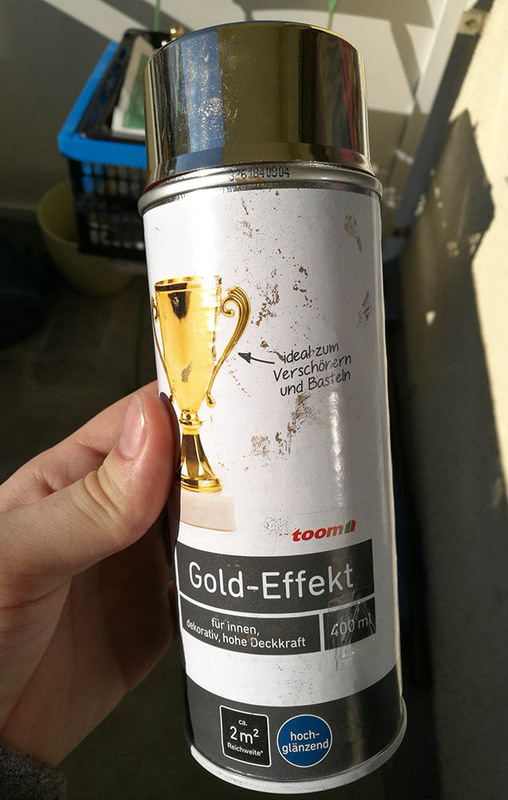 I took one after another and placed them on the covered table to spray some gold on, carefully following the instructions on the spray can. 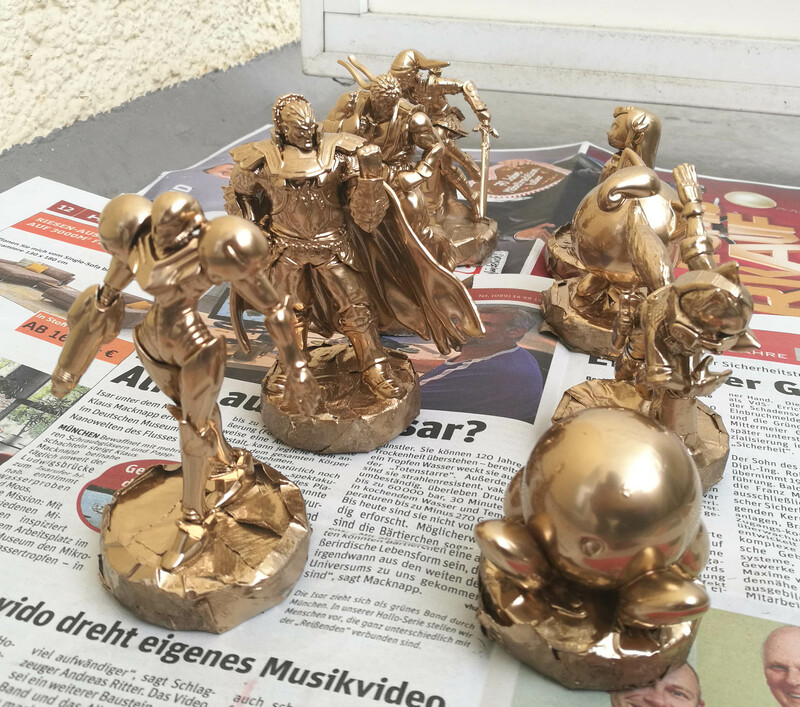 The freshly sprayed Amiibos I put on the side for drying. 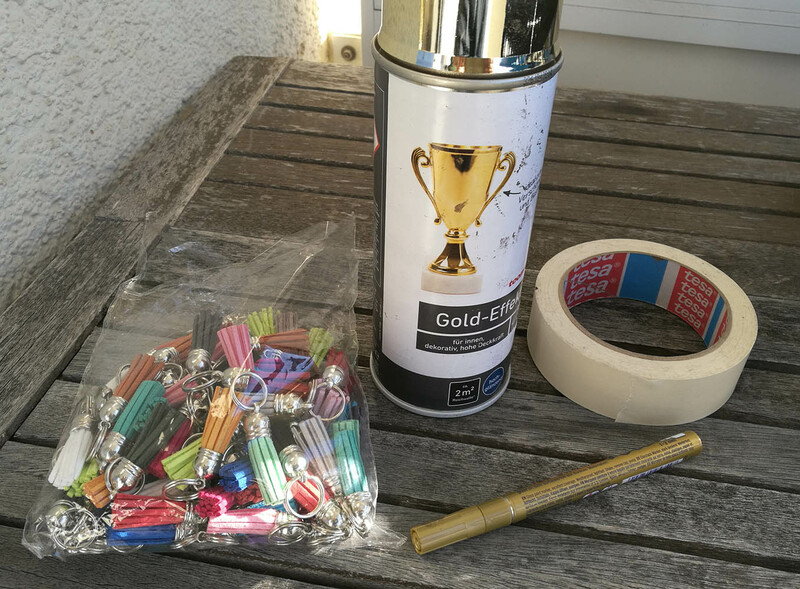 After a few minutes I again put them on the table to spray on a second layer of color. Repeat until satisfied. In a perfect world that would've been it, but well, it wasn't. Before I go on a little disclaimer: Usually I hate the crafts, and try to avoid them where possible. If I do however decide to start a crafting project, I usually don't really know what I'm doing, and try to get it done by trial and error. 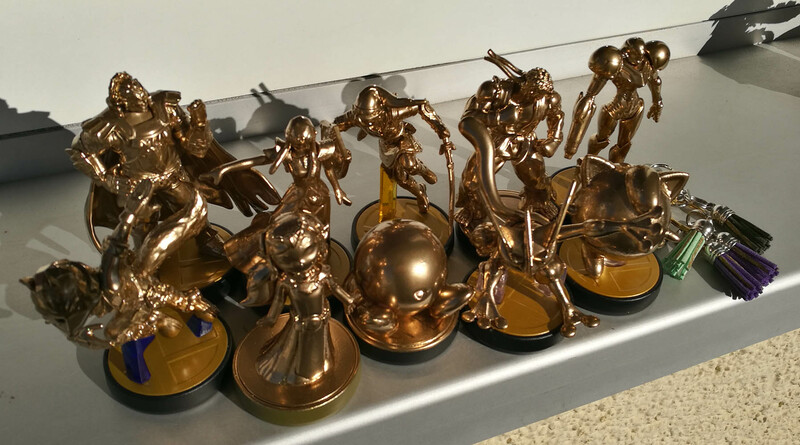 So, I let the freshly sprayed Amiibos dry inside, for a whole week. While a few of them turned out very well, most of them had large areas where the spray paint was sticky. On these areas fingerprints formed when touched or the color came of completely. A quick Google search told me about how I probably didn't shake the spray can thoroughly enough. Well, errors had been made, but it couldn't stay like this. So it was time for the sandpaper. 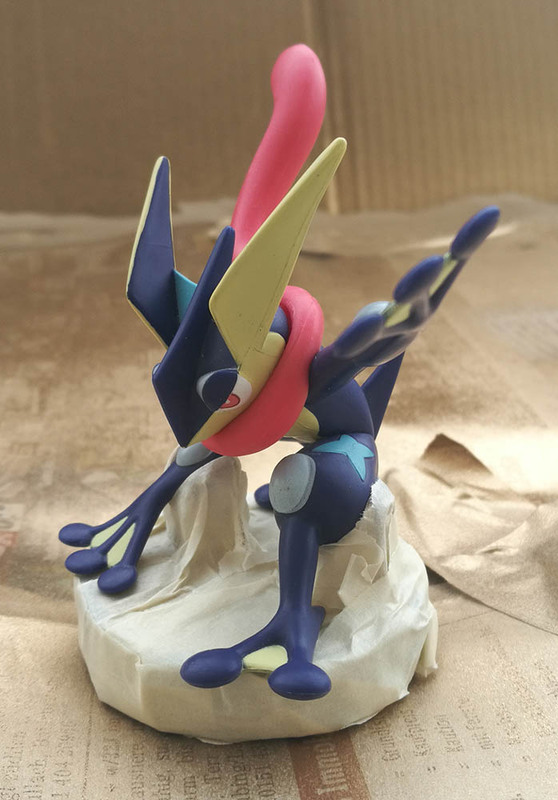 I took the sticky Amiibos and tried to sandpaper the respective areas off. That could've gone better, but in the end I managed to remove the largest sticky areas. Afterwards I had to put the color back on, of course. So again setting up the spray station outside and spraying some more. This time I took special care to vigorously shake the can long enough. 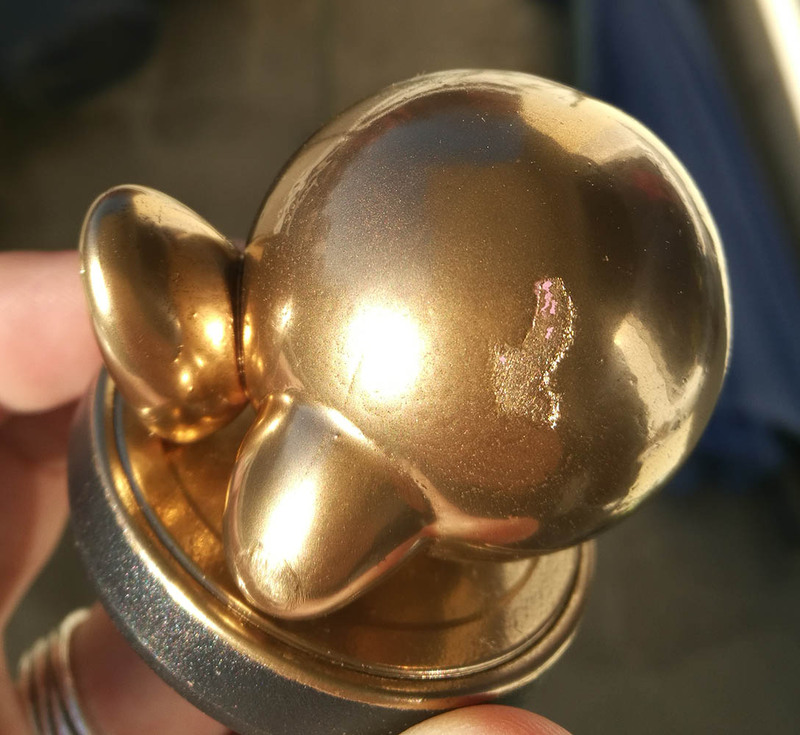 There were a few figurines that had spots where the color absolutely didn't stick. So I covered those spots with a golden pen. 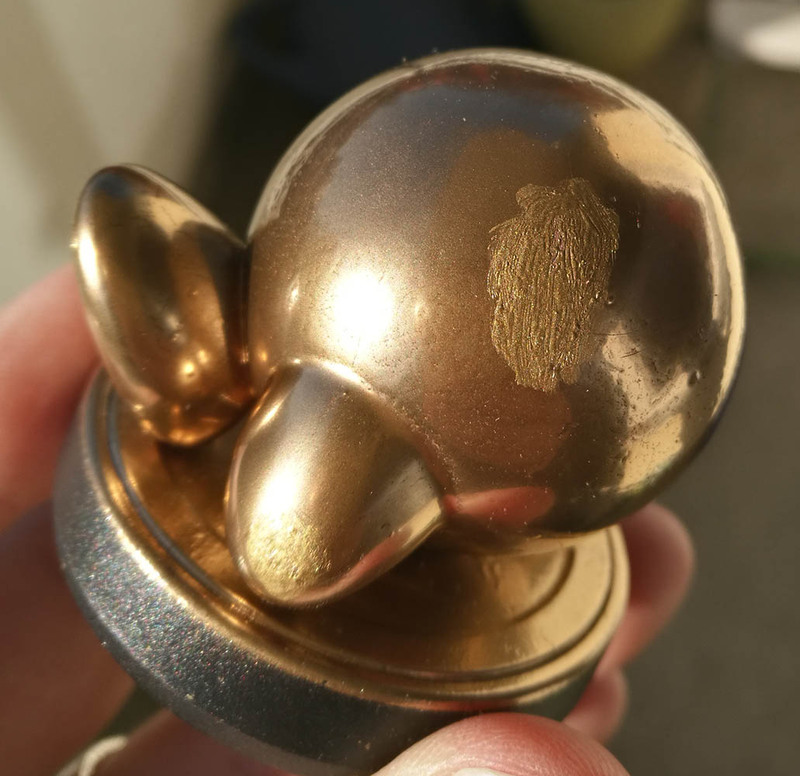 The pen had a different golden color tone than the spray paint, but the pen was an improvement to the spots. 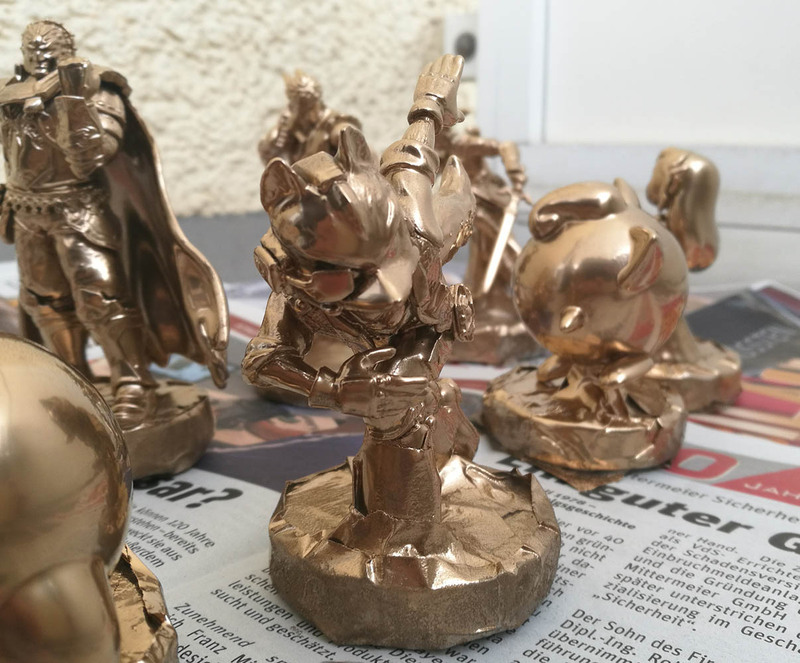 After sandpapering and re-spraying, the Amiibos had an acceptable look again, and almost nothing was sticking anymore. The corrections did leave their scars, however. So they weren't as pretty as the first time. Yigglypuff, Toon Zelda and Greninja got hit especially hard. The leather key pendants didn't cause that many problems. I ordered some wrong rings one time, but that could easily be fixed by ordering another set of rings, those things are cheap. What did I learn? 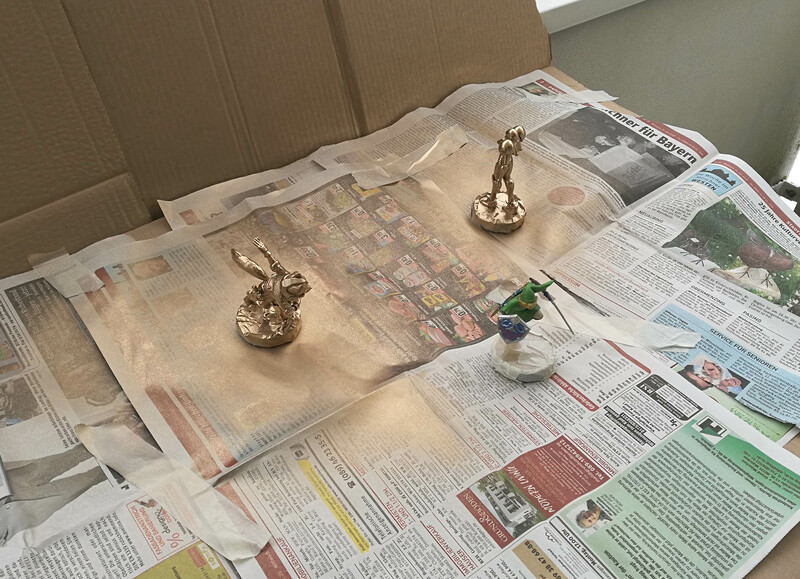 Always shake spray paint cans for a long time, cover the spraying area very widely (I think the railing on our balcony got some gold, too), and freshly sprayed Amiibos can be put into the oven for initial drying. The last one specifically seemed to be kind of a game changer. 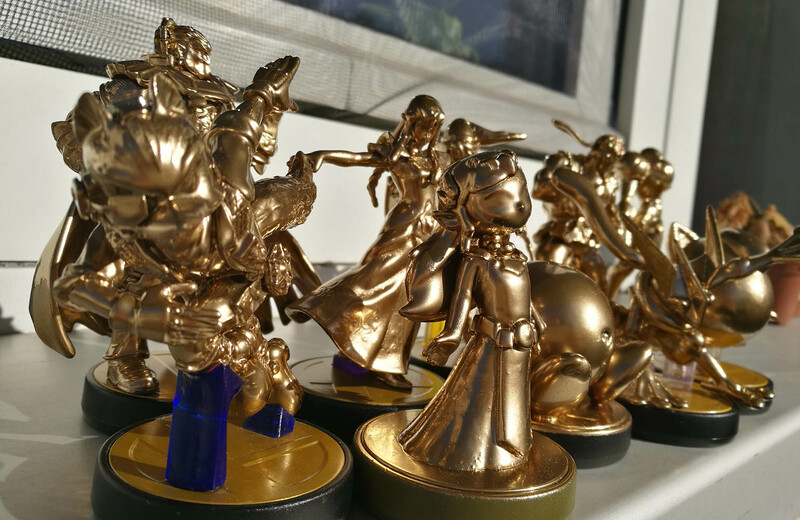 With the golden Amiibos all preparations for the tournament were completed. How the actual course of the tournament varied from my planning, I will tell you next time! Good fight and good night!